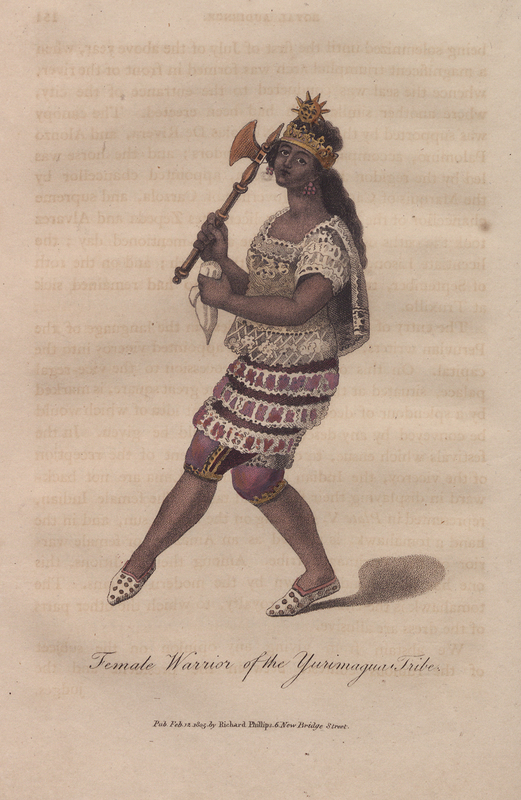 Joseph Skinner. 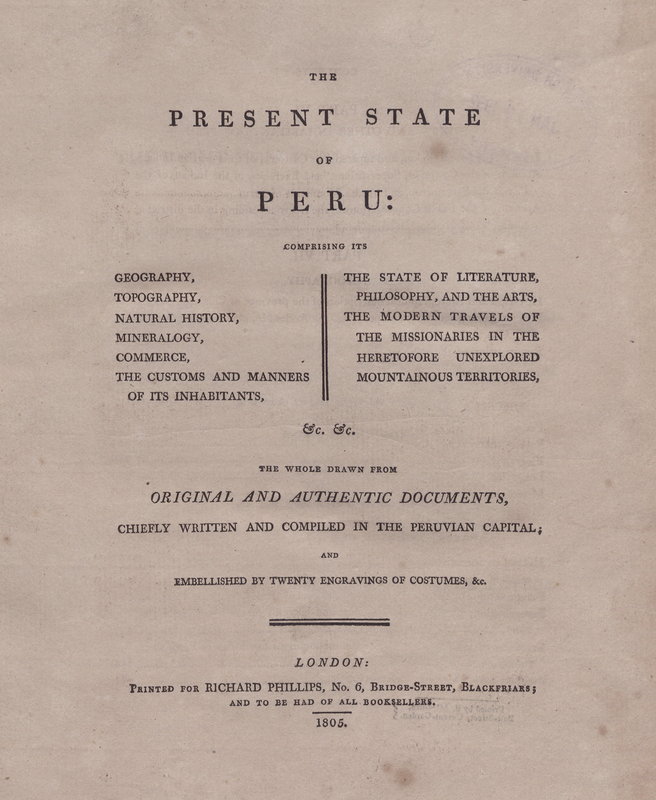 The Present State of Peru: Comprising its Geography, Topography, Natural History, Mineralogy, Commerce, the Customs and Manners of its Inhabitants, the State of Literature, Philosophy, and the Arts, the Modern Travels of the Missionaries in the heretofore Unexplored Mountainous Territories… London: Richard Phillips, 1805. 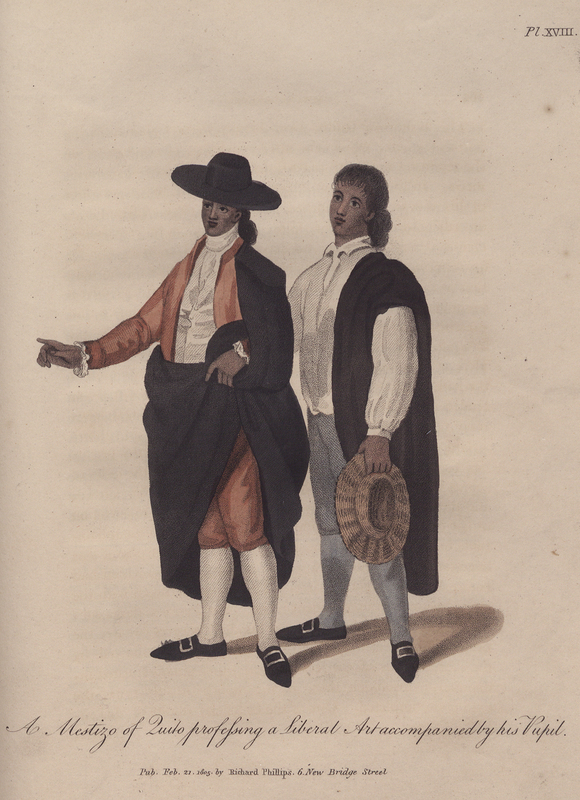 World cultures have long distinguished themselves from one another by the fabrics they used and the styles they adopted. 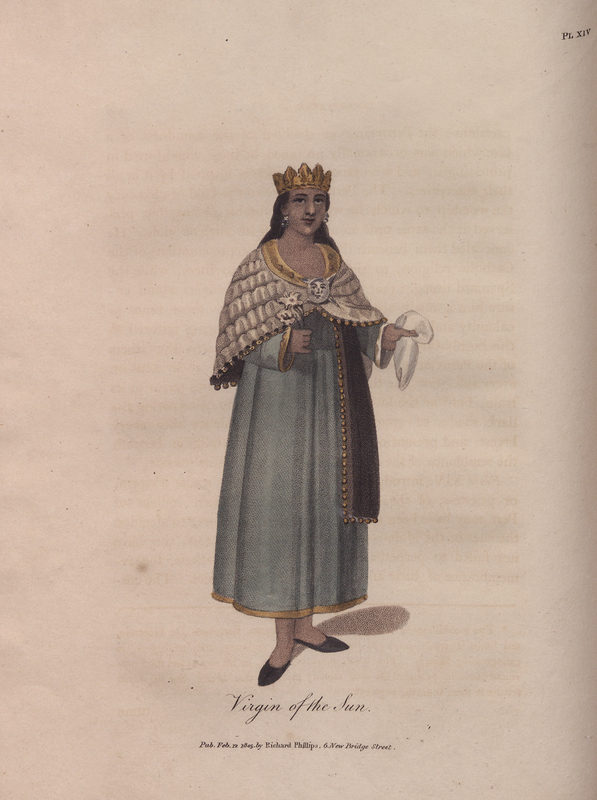 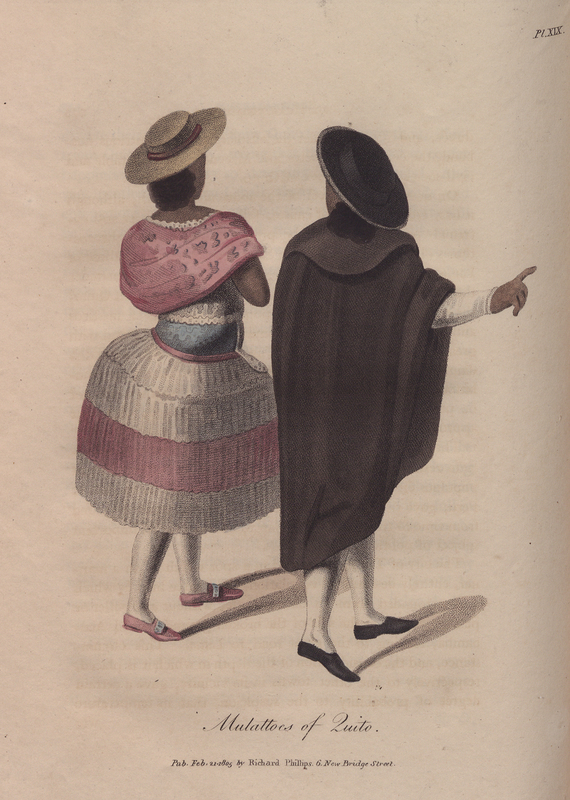 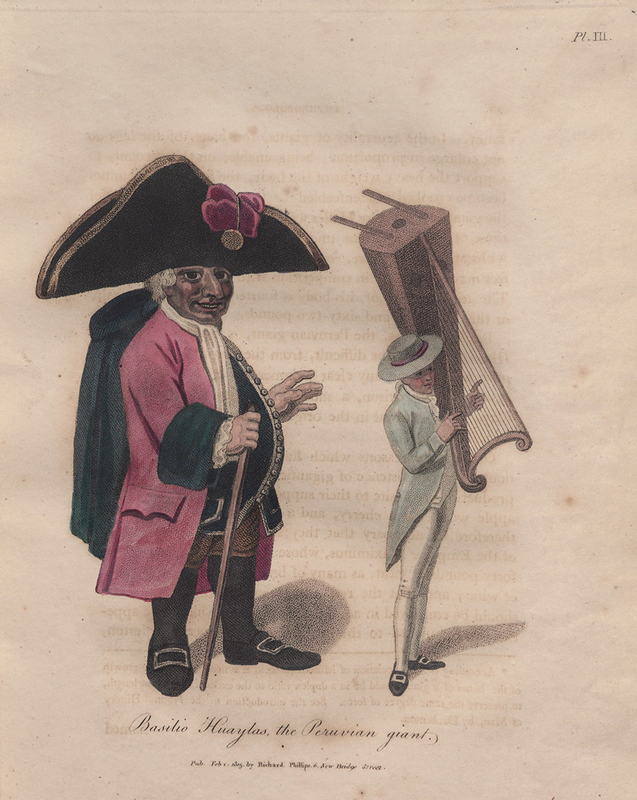 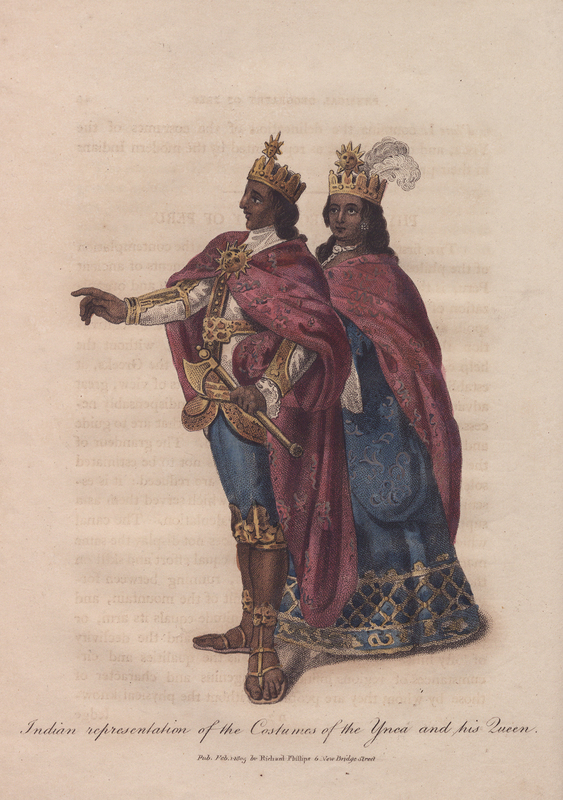 The selection of hand-colored illustrations included in Skinner's work provide a glimpse of the clothing worn by inhabitants in early nineteenth-century Peru.